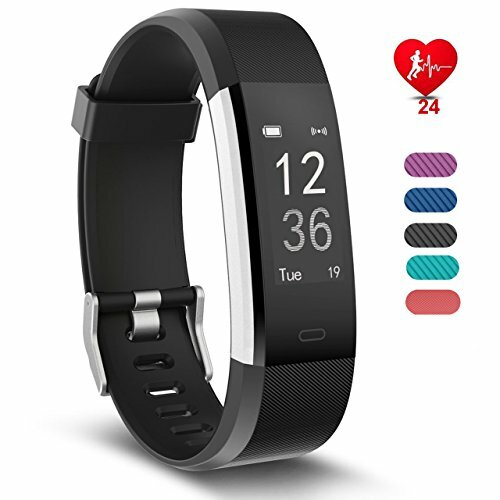 - 【24-hour Fitness Monitor】Track your all-day activities such as distance travelled, steps taken, calorie burned, heart rate, sleep. Connect with mobile's GPS, you can check your real-time route in the App called VeryFitPro. Other sports data and sleep data can be also checked in the App.Check your daily or history heart rate curve in the App "VeryFitPro". Set your heart rate zone according to your personal physical fitness condition. - 【14 Sports Modes】walk, run, bike, workout, yoga, hike, climb, basketball, badminton, tennis, football, treadmill, dynamic bike, dance. Multi-sport modes provide you with a more professional sports data recording method and allow you to get a better understanding of your daily amount of exercise. Get your 24-hour timeline of activities in the App. - 【Quick Charge and Long Standby Time】Full charge requires only 1-2 hours and the standby time can be up to 5-10 days with full power when the heart rate function is turned off. No tangled and complicated wires and cords, USB interface allows you to charge it anytime and anywhere.